Rewind to March 2017. The Green Bay Packers made a sizable splash early in free agency by signing a well known veteran in Martellus Bennett. They tacked on Lance Kendricks a day or so later, and shocked the entire fan base with such rapid fire activity in free agency. Fast forward to mid-November 2017. Packers management, players, and the entire fan base are collectively kicking themselves over the Martellus debacle. How is it finally so clear that someone so talented had hopped from team to team throughout their career? This is Football Management 101. Hell, this is Life Management 101. If something seems too good to be true, it’s because it is. Martellus’s brother, Michael, posts an entirely false testimonial online about police brutality he claims to have suffered (but obviously did not) in Las Vegas. President Trump tweets about the NFL players not standing during the National Anthem. In defiance, Martellus sits as a sign of support for his brother’s deliberate fables. Martellus is cut by the Packers for failure to disclose an injury. Shockingly, someone with the last name Bennett has failed to bring a semblance of the truth to light. Martellus Bennett decided he would make the team physician, Pat McKenzie, the scapegoat for his divorce with Green Bay. Great idea. In the NFL, where employee turnover is astronomical, blame the guy who has been around doing an exemplary job since 1991. Blame the guy who has generations of Packers players, management, and colleagues around the NFL singing his praises. While you’re at it, how about you walk into a nearby watering hole and pick a fight with the most popular guy who has the most friends in the place? To seal the deal, knock over a baby stroller being pushed by a new mother. All of these are equally abhorrent actions. Aaron Rodgers. Jordy Nelson. David Bakhtiari. LeRoy Butler. Tom Crabtree. Jahri Evans. Clay Matthews. Alex Green. These are just a handful of current and former players who have vehemently come to the defensive of Dr. McKenzie. There are boatloads more that would bolster his defense. Even Jordy Nelson, the nicest guy in the world who never says anything, rushed to his physician’s defense. The common theme with every testimonial has been how McKenzie has preached caution and educated his clients on the long term risks of rushing back from injury too soon. In other words, he stays true to the Hippocratic Oath. But no. Martellus must be right in his barely coherent, contradictory Instagram rant, yes? He can contradict his words and cuss all he wants. That’s his right. However, all he’s doing is exposing himself more and more as the clown he is. Let the ignoramus talk. All it does is add to the mountain of evidence that him and his brother, Michael, are rotten frauds. In the grand scheme of things, what Martellus lied about pales in comparison to what Michael Bennett lied about. Michael actually decided to claim he was profiled and brutalized by police at a Las Vegas casino during what was reportedly an active shooting incident that ended up not being the case. 193 separate security videos offered zero support to the profiling and brutality that he claimed to endure. 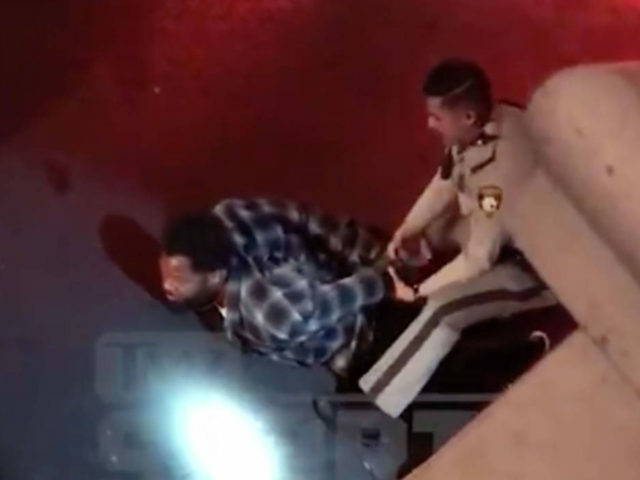 The only truthful account from Michael Bennett on that night was in regards to his detainment after running from authorities that were sweeping the scene for a reported active shooter. What kind of authorities would detain someone running away suspiciously during an active shooting scene? Oh, and the authorities that detained Bennett? Two were Hispanic, and one was black. Talk about racial profiling…….. In conclusion, an actual, indescribably horrific shooting took place merely a month later at Mandalay Bay in Las Vegas. The entire nation was beyond mortified about the entire incident. Throughout all of the footage and eyewitness accounts of this atrocious event, how many occurrences of police going egregiously out of their way to tackle any 6’5″ world class black athlete were identified, all the while enduring bullets flying from an unknown source and thousands of chaotic people scrambling around? Still waiting on that one, Bennett brothers. This entry was posted in Packers 2017-2018 Season, Uncategorized and tagged Aaron Rodgers, clay matthews, David Bahktiari, Donald Trump, Green Bay Packers, Jahri Evans, Jordy Nelson, Las Vegas, LeRoy Butler, Liars, Martellus Bennett, Michael Bennett, Packers, Pat McKenzie, Tom Crabtree. Bookmark the permalink. Article well written and valid points made. The Bennett boys are liars with poor upbringing. Well stated. These two are known frauds. Yet ESPN and Mike Florio will rush to amplify the next “injustice” they claim to suffer without any suspicion. I’m finding it more and more apparent that there must be way too much competition in the news world. So much so, that writers and reporters have lost all accountability for validating their news reports. They want to be first to report and that is all that counts to them. There is way to much ignorant, blind spouting out of the mouth in present day news reporting. They have lost all integrity, and again, accountability.